You are here: Home / Product Reviews / Babies & Kids / Get Excited for Easter with These Cadbury Chocolate Egg Nests! Having two March babies, Easter is always a very special holiday for us, simply because it is the first holiday that both of my girls celebrated after entering the world. So, when I start seeing Cadbury stocked on the shelves of stores, I know that Spring and eventually Easter is on its way! We start planning for the big day way before Easter Sunday and we like to do crafts, bake treats and head to the store to buy the essentials. This year Cadbury Creme Eggs have arrived in new packaging. Say goodbye to partially peeling foil wrapping and hello to the new pod packaging – we really noticed that it is cleaner to eat, and fun to open. Oh, the anticipation is thrilling! While we buy treats to enjoy before Easter, I sneak off and purchase all of my Easter goodies for the girls. It gets me excited to plan our Easter Sunday hunt but, even more excited to get the girls stoked for it. Not to mention, I like getting the first pick and having a selection. Darn, now I gave away my secret. Well, Hubby and I start the fun early and we spread the love throughout the house or add a little surprise in the girls’ lunches with a note. Hit the stores early to get the best selection. Hide a treat while they sleep! I left a Cadbury Creme Egg near Gabby’s pillow, not under so she doesn’t crush it or melt it. Weave Easter baskets, that way–you’re ready to hunt! Send a little treat along with school lunches with an Easter-inspired note! Don’t worry, they’ll burn off the treat at school! Bake with your favorite Cadbury treats. Have a practice run, hide a Cadbury Creme Egg for each child in the house and give them clues to find it. Watch Easter-themed movies. Our favorite: Hop! Make Easter Hunt invitations for your attendees. Get Your Cadbury Mini On! 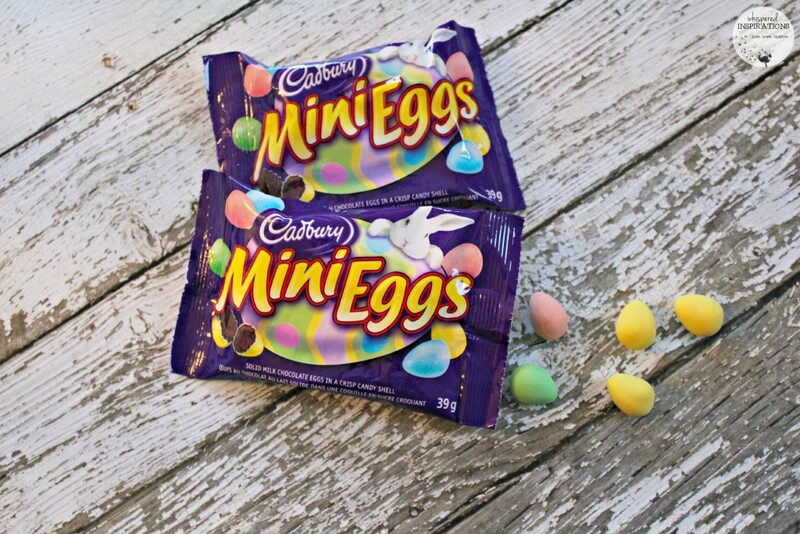 While we love Cadbury Creme Eggs, the Cadbury Mini Eggs are a definite favourite in our home! We love making baked goods with them or even just using them to practice counting our numbers with my littlest. Not to mention, they are absolutely scrumptious and make a delicious treat! We were inspired by what I call Easter season, which starts in March for us and leads up to the big day. Our muses were those delectable milk chocolate eggs in candy shells—Cadbury Mini Eggs. Our creation: Cadbury Mini Egg Nests! Did Someone Say Egg Nests? Gabby and Michaela both love Easter and they thought it appropriate to show you a fun and easy treat that kids of all ages can take part in. It is simple and you can set everything up and they can create cute little masterpieces worthy enough for the Cadbury bunny! 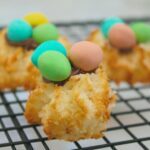 You can either use your favorite coconut macaroon recipe or you can use store-bought macaroons for a quick activity for the kids. Open Ziploc bag, spoon in 4 TBSP of Hazelnut Spread, zip it closed minus one corner to let out air. Snip the tip and you are set. Use the spoon to remove the tip from the macaroon. Make the top flat. Pipe on a small circle in the center of the macaroon. Add different color Cadbury Mini Eggs on top of the spread. I know my girls are excited for the thrill of the hunt every year and they love it, even more, when we celebrate all season long. They had a great time making these Cadbury Mini Egg Nests and finding goodies around the house. We can’t wait to keep the fun going all month-long and I am already planning my egg hunt. Two plans, one for outdoors and one in case of rain! If you’re ready to be inspired to make more treats, check out these Lemon Semifreddos! How do you get ready for Easter? They can make them for you. This recipe looks great. There is no better Easter candy than Cadbury. Period! Simple recipe and the candy does the rest! I just bought about 50 Cadburry eggs when they were on sale at CVS last week. I love those things. We love Cadbury everything in our house. ESPECIALLY the creme eggs. We stock up on those puppies! My recent post TINKERBELL AND THE LEGEND OF THE NEVERBEAST- My Interview with Ginnifer Goodwin! They are what you think of when you think Easter candy. Those cookies look delicious! Easter has my favorite candies and these are top of my list. 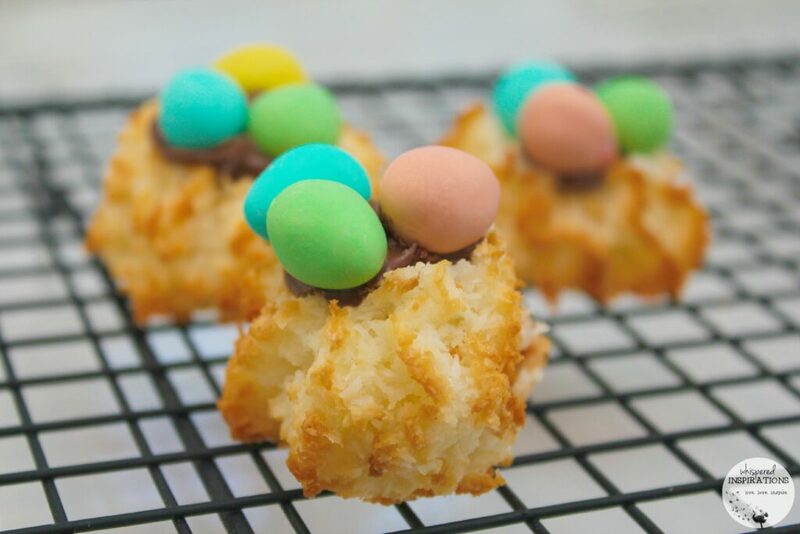 I just bought some Mini Eggs today 🙂 Love the idea of putting them on top of the coconut macaroons. Ahhhh, these are my Kryptonite! I adore the cream eggs, in any way or form and the eggies? OMG, I need some now!! Man, thanks to Cadbury my addiction has become more convenient! I am a Cadbury egg fanatic!!! LOL, guilty as charged here too. Which Flavor is your favorite? Which one disappears the fastest? I want to be armed before I hit the store. 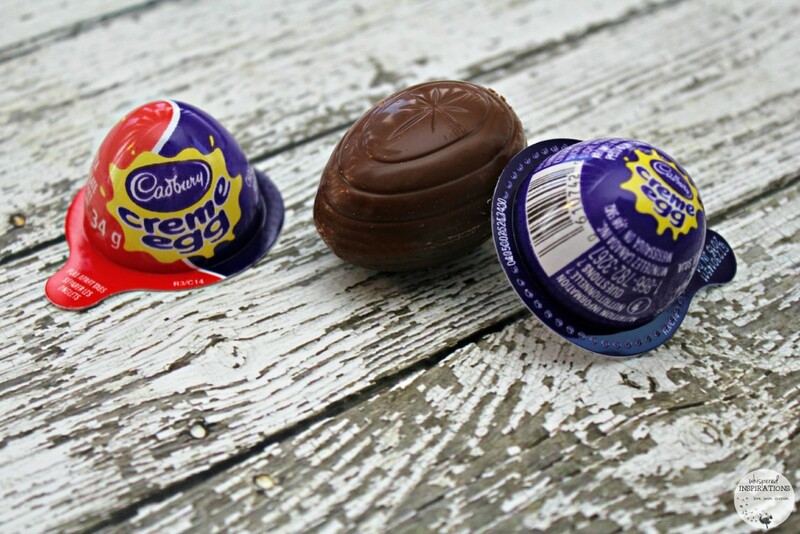 Hmm, I love the traditional Cadbury Creme egg but, the mini ones are my fave! OMG totally love this idea! I will have to try it! Super easy and tasty, I must say. That is such a cute idea! My kids love the Cadbury Crème Eggs. They are yummy, I do not blame them. These are SO cute! I definitely want to try them! Thank you for sharing the recipe. My pleasure, they are easy either store-bought or make your own. The rest is easy peasy! These are so cute! Love the use of hazelnut spread. Awww, that is great! Glad they enjoyed! I am making these macaroons for next weekend! They will make the perfect Easter treat! These nests are so cute! My kids would gobble them up! Yum! 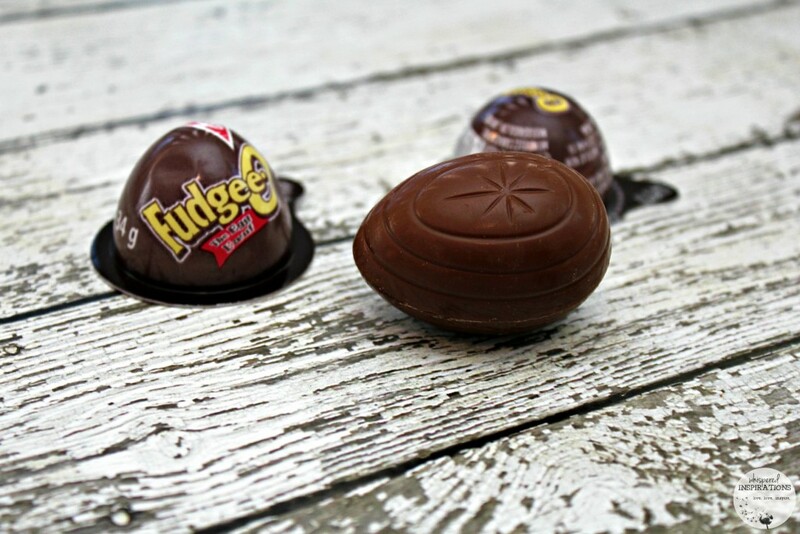 I love Cadbury Mini Eggs and I just recently tried one of those fudgeeo eggs. They are super good this is great for left over candy. Sadly we didn’t do much candy this year, but had we I would be all for this! Looks really good! They are really tasty! Perfect for leftover candy. I love those cookies! I want to make them right now! haha. Cadbury eggs are just IT for this time of year. Who needs anything else in the Easter Basket? The pod packing is surely a great idea and keeps everything for getting smooshed. Tasty Treats! I love these candies! However, I am going to try this recipe. Thank you for the awesome tutorial. Looks like you and your family had a very tasty Easter. I may be the only person in the world that has never had a Cadbury egg. They look amazing and I hear that they taste divine, but for whatever reason, I've never had the pleasure. And my daughter also loves Hop. We actually watched it during Easter weekend at her insistence. OMG, you need to have some. They are truly divine! That is such a great idea and a neat way to use up Easter candy. We didn't buy too much this year so we haven't run into that problem just yet but it's definitely something I'll keep in mind. 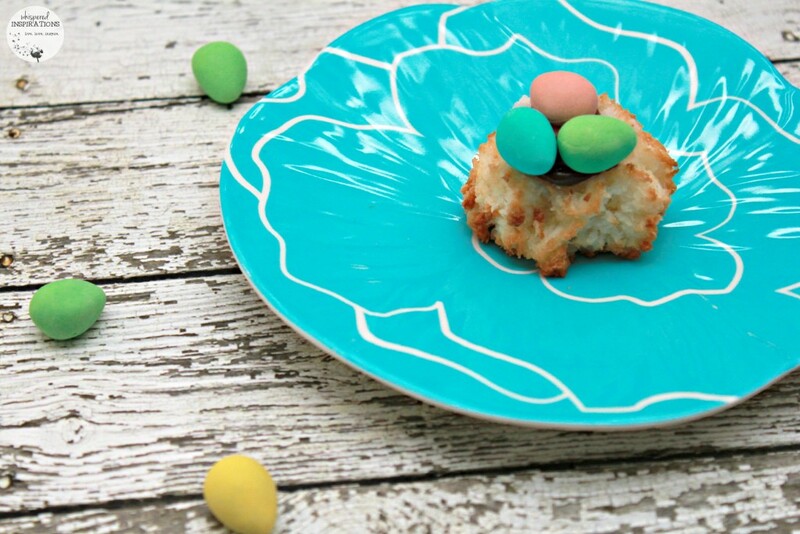 It is definitely a great way to use up extra Easter candy, that is for sure! I love the mini eggs and my kids love watching Hop too. I really wanted to get them into watching some of the old movies my mom and I used to watch like Easter Parade but no dice. LOVE the new packaging! It is super cute. I also love the way you get the kids (and yourself) excited for Easter. What a fun tradition.That recipe looks and sounds fabulous and delicious. Thanks for a fun article! We made these again this year and of course they were a big hit.Thanks for sharing !